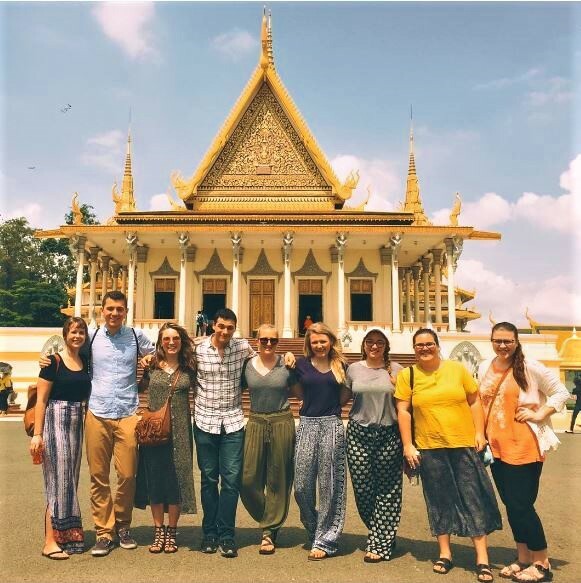 With Global Service Corps, entire families can share a service-learning volunteer adventure together in Cambodia. GSC has in-depth experience assisting families who wish to embark on a life changing journey together. Ages 15 – 17 are charged full program fees. Parents accompany their children throughout their program and participate in the orientation, service project, and in other extra-curricular activities. Parents are responsible for their child’s airfare, travel insurance, and visa expenses. Please contact the GSC office for more details and program options for families. GSC also supports group travel. If you are part of an organized group such as a university, alumni, religious, fraternal, or a community service group, GSC will work with your group representative and our in-country staff to match your group with the service-learning placement which best meets your group’s objectives. Alternatively, if you as an individual have friends or relatives who would like to join you on a service-learning program, GSC offers group discounts starting with a group of two people. Visit our Dates and Rates page for a breakdown of program costs.